I don’t care what product you’re working on, or even what your role in creating it is, you are shaping the world around us. And in more ways than you know. Products Shape Us. Please Don’t Take It for Granted. A few months ago, I was sitting on a flight next to a friend waiting to take off. As the plane began to speed down the runway, and in mid-conversation, I threw my head back against the chair and shut my eyes once the plane began speeding down the runway. Not realizing how weird that interaction must’ve been for him, I explained my ritual for every flight: during takeoff I close my eyes and try to imagine what it felt like to be the first person to fly. It was in 1903, actually. Orville Wright, one of the Wright Brothers, piloted the first powered airplane in North Carolina — a flight that lasted 12 seconds and covered 120 feet. Now, I’m not sure exactly what was going through his mind at the time, but can you imagine what it must’ve felt like to be in a machine built with giant spruce wood as it floated above ground? Take a minute to contemplate this. Close your eyes if you have to. Even if he could successfully fly a 605 pound machine, how was he going to land? Would he? Could he? I’d be terrified. No; and in our wildest dreams, even after we had flown, we never imagined it would ever be possible to fly or make landings at night. Fast forward 115 years, and that small “hop” completely changed the course of history. Like most great inventions, the airplane has created a butterfly effect that has impacted many of the most historic events in the last century — everything from warfare, to geographic distribution of populations, to commerce and trade and the global exchange of information. 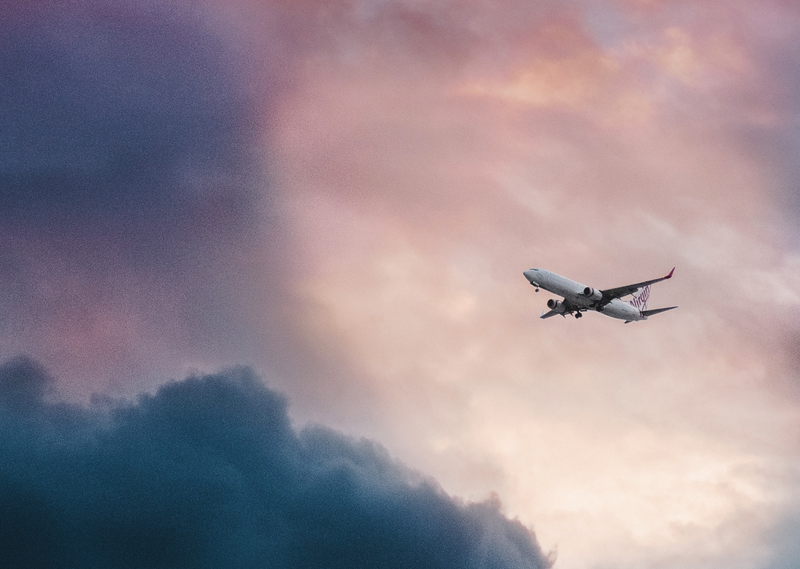 Beyond the obvious ways air travel has shaped history, try this thought experiment: what parts of society exist as an indirect result of flying? Did planes make it easier to declare war? If so, would we have had either of the World Wars? If World War II never happened, would the Turing Machine, the precursor to modern computing, have been needed? If the Turing Machine hadn’t been invented, would we still be in the midst of today’s computing revolution? Product Innovation is Complex—There is Likely Positive and Negative Impacts That are Easily Overlooked. For one, aviation has afforded us the benefit traveling anywhere in the world in a matter of hours; we can see new things, experience different cultures, meet new people and better maintain long-distance relationships with friends and family. The human experience today is much richer because of it. But it was also the vehicle that dropped the atomic bomb. It was used as a weapon for one of the deadliest terrorist attacks in history. It has contributed to the spread of disease internationally. As the importance of innovation grows in today’s business landscape, the broader impact brought upon by the changes we create should be considered. The reality is, product innovation is a complex, non-linear system, and adding or removing products from the system should be taken seriously. While embracing the full context of a system may be impossible, it remains the innovator’s responsibility to not only understand the objective of his or her’s work, but to understand the impact of the transitions that might occur as well. And while an invention as grand as the airplane serves as an obvious reminder of this, the same should not be overlooked when it comes to small, incremental product innovations delivered to the world. Something as simple as a feed of text and images has provided us with an easier way to achieve the benefits that the Wright Brothers’ life-threatening experiments have: an on-demand way to expose ourselves to new ideas, meet new people and better maintain relationships with friends and family. But it can also exacerbate the division and polarization of our communities, influence elections, create misinformation and fake news, be used as a platform for abuse and leveraged by terrorists to conspire and radicalize others. The things we create today, down to the pixel, have an impact beyond our intentions and comprehension. The Wright Brothers wanted to channel their mechanical engineering skills into imaginative experiments. Mark Zuckerberg wanted to create an online directory for his Harvard classmates. Both have completely shaped the way we live. A Product Team’s Moral Compass. My ask is to embrace the holistic context in which we create. But let’s say we collectively get better at understanding of the consequences our products have, and it even becomes a mainstream practice in product development. Then what? Well, that’s a matter of ethics. If you could deliver water to a community in a drought with the possibility that the water source is contaminated, would you? And so, I’m left wondering, and maybe you are too: if, hypothetically speaking, the Wright Brothers or Zuckerberg were aware of the negative effects their inventions would bring about, would they have done anything differently?